I’ve been working to varying degrees with education and tabletop gaming for over 13 years now, and have come to the conclusion that the practice of gaming is an incredible tool to help kids facilitate self-reflective behaviour, develop the ability to understand and articulate their emotions, and take an inventory of their strengths and weaknesses. Specifically, the tabletop RPGs Coriolis and The Veil have proven to be incredible tools in and beyond my atypical classrooms at the Royal Ontario Museum and beyond! - Did you overcome a difficult challenge and help your group reach their goals? - Did you learn something new about yourself? - Did your personal problem(s) put your group at risk? When playing tabletop RPGs with kids, especially systems like D&D and Pathfinder, players become preoccupied with “doing things” to level up their characters. Games generally descend into, sessions of “if we kill this many of [INSERT GENERIC COMBAT CHALLENGE], we’ll gain this much experience.” While quite clearly a gain in the route of mathematics, a game like Coriolis can be used to encourage more self-reflective (yet, still goal oriented) roleplay. The structured end-of-session debrief and discussion is a great way to have players recognize the weaknesses and strengths of their characters, mediate their own problems, and identify how their actions and behaviours can positively and negatively affect others. There are a variety of games based on the Powered by the Apocalypse role-playing game system created by Vincent Baker for the game Apocalypse World. In this system, whenever you roll dice to mediate the outcome of something in the narrative, you are using what is referred to as a move. 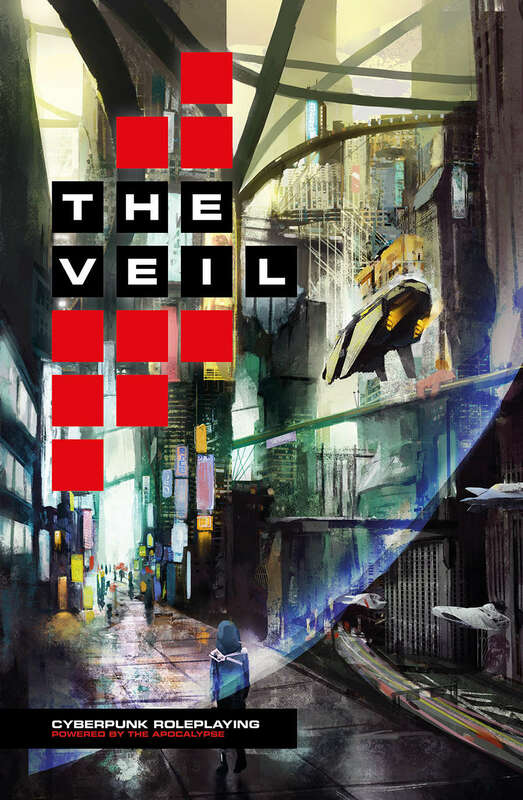 In The Veil, a cyberpunk RPG by Fraser Simons, triggered moves are augmented by states – the core emotions of each character. These include Mad, Sad, Scared, Joyful, Powerful, and Peaceful. What I find particularly amazing about this game is how states are used alongside moves according to the fiction. Unless otherwise stated in the rulebook, the modifier applied to the dice roll is determined by how each player sees their characters’ emotions at that moment. The Veil is the perfect RPG for teaching kids the importance of being aware of feelings and emotions. While not necessarily identifying their CURRENT real-life states, the combined use of states and narrative in-game has proven to be an excellent tool for helping my students and clients practice identifying specific feelings and emotions so that they can be resolved. The addition of the feeling wheel – adapted from Dr. Gloria Willcox’s book Feelings: Converting negatives into positives – in the game provides players and the GM with a simple tool for describing specific, nuanced feelings. I should also point out that the game also doesn’t focus on replacing bad feelings with good ones, or assigning low or poor modifiers to bad emotions and high ones to good emotions. In The Veil, all emotions are meant to be embraced and are a part of being human. Fraser and I got in touch with each other through a mutual friend after I bought a copy of his book at Breakout Con 2017. I wanted a cyberpunk RPG that wasn’t mathematically crunchy like Shadowrun, and got something much better. The Veil is a game that quite literally encourages the development of emotional intelligence and awareness. In my mind (pun intended), it’s a spectacular teaching tool to help players understand and articulate feelings and emotions, and in turn, recognize those of others. Science fiction as a genre can be an excellent tool to teach young people about the effects of technology on society, humanity, math, physics, chemistry, and the role of the government in society. The list goes on. 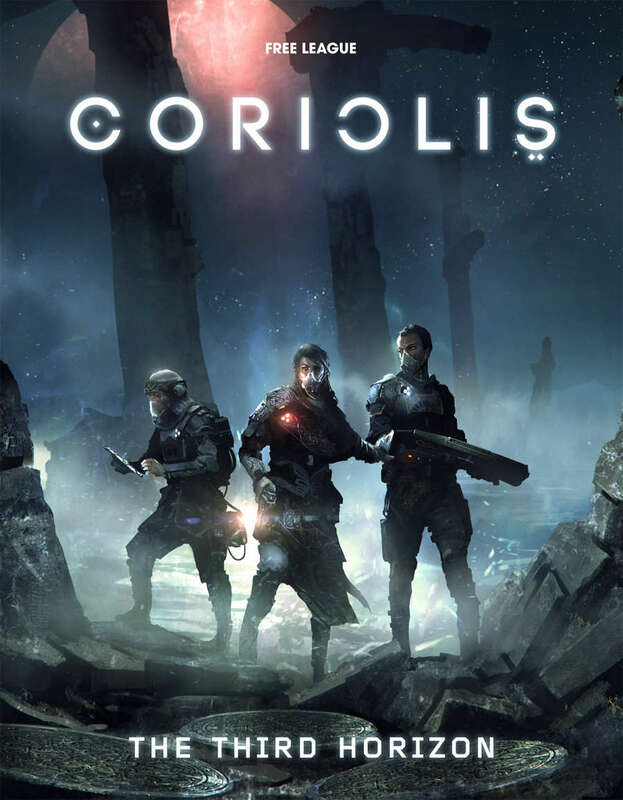 But while science fiction tabletop RPGs like Coriolis and The Veil can be adapted to teaching those topics, they also have the incredible ability to help players become more self-reflective and self-aware. Recognizing strengths and weaknesses, identifying one’s contribution to a group effort, and understanding how one’s feelings and emotions affect action can all be developed in a variety of ways. But how amazing is it that tabletop RPGs are one of those?